James Duckett: NaNoWriMo 2011, Should I? Last year I signed up for NaNoWriMo. What is NaNoWriMo, you ask? NaNoWriMo is short for National Novel Writing Month and (literally) hundreds of thousands of people attempt to write a book of at least 50,000 words. If you do, you win. 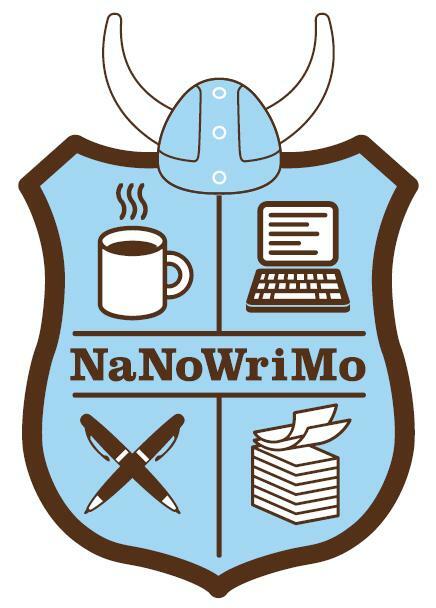 For more information, or to sign up for yourself, visit the NaNoWriMo website. So, did I "win" NaNoWriMo? No, and yes. I did not achieve the 50,000 word goal. I don't think I even crossed the 10,000 word mark. So why did I add the little "yes" at the end up there? Because the entire reason I signed up for NaNoWriMo was to learn more about the writing process. And I felt I learned a lot! 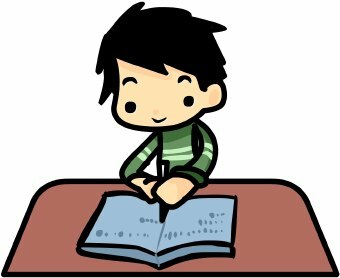 The biggest thing I learned was the need for outlining, which I've already covered in previous blogs. But it was also great to see a character get developed in front of my eyes and end up taking me in directions that I hadn't even considered. I also found that when it happened I was both enthralled and infuriated. Hence, the reason I need to become a better outliner. I've had a few people ask me if I planned on doing it again. Until this time I've been saying, "No, not for me this year." Primarily it is for two reasons. 1) I don't have a suitable outline and 2) I don't know if I can make the time commitment. There are a few other cons, but I think the pros outweigh the cons so I won't dwell on them too much. Yesterday I was giving NaNoWriMo some thought and came across an idea that would help take care of concern #1 (not having an outline). What if, instead of writing out a book, I write a number of short stories instead. This would enable me to practice the craft (something I should be doing anyways) and could possibly even help me stumble across the story I'm looking for. I did a little searching and it turns out that NaNoWriMo is okay with this idea, so I can do it and not feel guilty. If I can shoot for one short story a day I should come pretty close to the 50,000 word goal. But then there is concern #2, the time commitment. Time seems to be the commodity I'm always short on. And while I think the motivation of NaNoWriMo could help me find more time to write I still don't know if that is going to be enough. So while I need to shoot for 2,000 words a day, I don't know if I can realistically pull that off. I do have a couple of days throughout the month where I can play catch-up, but my biggest fear is that I'll use that as an excuse: "Oh, I'm busy tonight, I'll just write twice as much this weekend." That always leads to me needing to write 7 times as much over the weekend. I've got to avoid doing that as often as possible. I admit, I'm mostly talking (errrr, typing) to myself here. Should I do NaNoWriMo and give it my best shot? I'm leaning towards yes, but I'm not 100% sold on the idea. So, dear reader, your task (should you choose to accept it) is to convince me to do it. I'd love to read your feedback on if you are doing it or not and why. And if you think I should do it, SELL ME ON IT. That is all. I'm not even a little inclined to make a commitment I can't keep. NaMoWriMo doesn't strike me as the most important thing I can do with my time to reach the point where hubby can retire and I start making money from writing. Building my platform is more important. Twitter has turned out to be more valuable than I thought for that, but it is taking more time than I can spare from agent research and querying. I dovetail everything I can but you can't dovetail writing and that much time spent writing another book when I should be selling the first doesn't make sense. After I sell the first it's another story, pun intended. I think it's like exercise. You think about doing it, you think you should do it, you know it would be good for you. Yet it's going to be hard. It's going to take time. It might even hurt a little. But when it's done you're on cloud nine and you look back and you know what you knew all along. Starting is the hardest part. And it feels so good to finish.